Eucharist is the sacrament that is celebrated every Sunday and most days during the week at Mass. We gather as a Catholic community to listen to the word of God proclaimed to us in the scriptures and remember our Lord’s life, death, and resurrection in a communal and ritualized meal. Our Church believes that the Eucharist is the “source and summit” of all Christian life and so it is vital to our Christian life to participate regularly in its celebration. Normally children receive their First Holy Communion in the spring of their second grade year. Anyone is welcome to attend our Eucharistic celebrations and participate as much as they are able. Our gestures and words are an outward symbol of our inward belief. We dip our hand in holy water and “cross” ourselves as a reminder of our Baptism. We stand, sit and kneel at various times of the Mass to again show outwardly what we are trying to do inwardly. 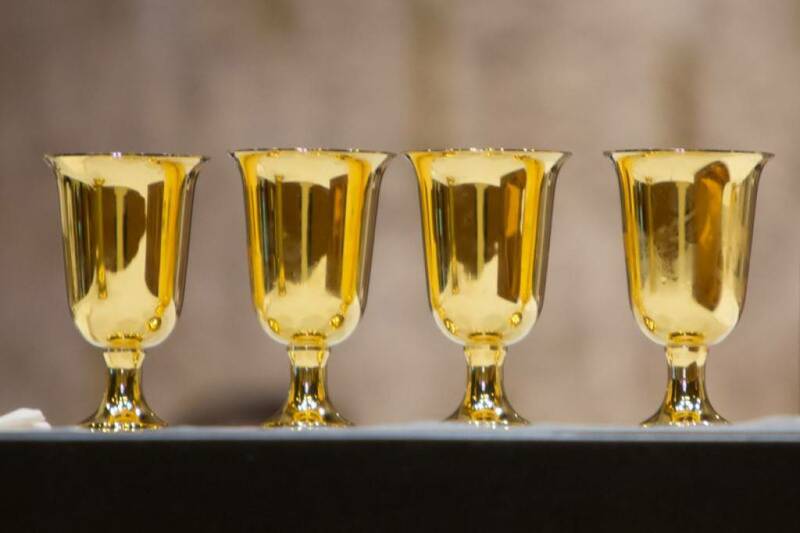 Communion happens when a Catholic comes forward to receive the Eucharistic bread and wine. As Catholics, we do not have “open communion” and so only members of the Catholic or the Orthodox Church may come forward to receive the Eucharist. For Catholics, communion is both a joining of ourselves with our Lord and with our neighbors. Therefore, Communion is not just a sign of our simple belief in Jesus as our savior, but also our belief with each other in all that the Catholic Church teaches. All Catholics are asked to make sure that they have properly prepared themselves before they receive the Eucharist and are asked to be free of grave, or mortal, sin. Catholics and non-Catholics who do are not properly prepared to receive Communion may come forward in the procession, but are asked to cross their arms upon their chest to show that they will not be receiving the Eucharist. Our parish celebrates Eucharist Adoration on the first Friday of every month. This time of prayer before the Eucharistic presence of our Lord begins after 8:30 a.m. Mass on Friday and ends the next morning with Benediction at 8:30 a.m. Mass is celebrated after Benediction at 9 a.m. Fr. Aaron's intention for this Mass is for those men and women that protect and serve our community and our nation: law enforcement, police, fire, sheriff, EMT, and all branches of the military. We also offer Eucharistic Adoration each Friday that the school is in session. Our parish school children participate in at least 30 minutes of Adoration each Friday during school year. 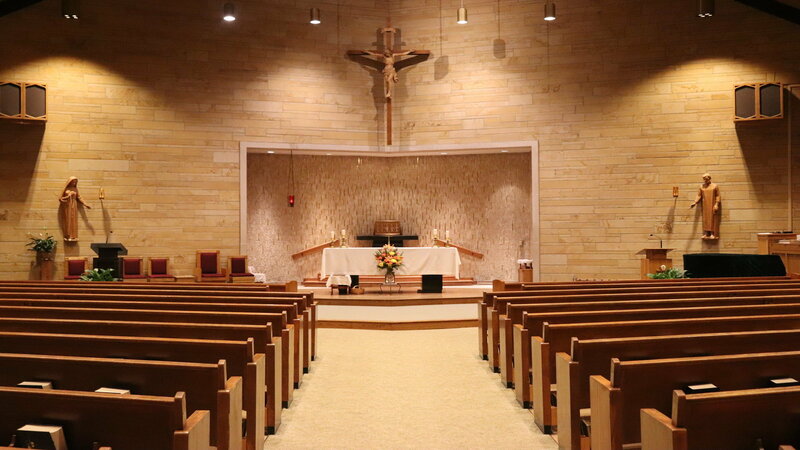 Adoration begins after the 8:30 a.m. Mass and ends with Benediction at 2:30 p.m. Again, all are welcome to come and pray before the presence of our Lord. Tuesday, Wednesday, and Thursday 6 p.m.